PSNews - At the launching ceremony on July 10 in Ho Chi Minh City, the Fortis Publishing House of US signed an agreement with the First News Publishing House of Vietnam to buy rights of "Gac Ma - The Immortal Circle", a Vietnamese book on Gac Ma battle. "Gac Ma - Vong Tron Bat Tu” (Gac Ma - The Immortal Circle) was officially launched by the Van Hoc (Literature) Publishing House and the First News Company, on July 5 in Hanoi and on July 10 in HCMC. With the aim of paying tribute to theheroes and martyrs who sacrificed their lives to defend the country’s sovereignty over the Truong Sa (Spratly) archipelago, the book reminds Vietnamese people about the bravery and indomitable spirit of our previous generations. 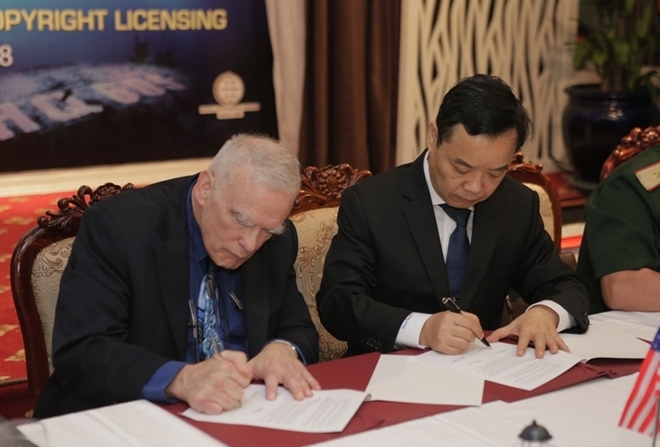 James Zumwalt, an internationally acclaimed US author and former Vietnam War veteran, represented the US-based publishing house and representative of First News Publishing House signing the agreement. 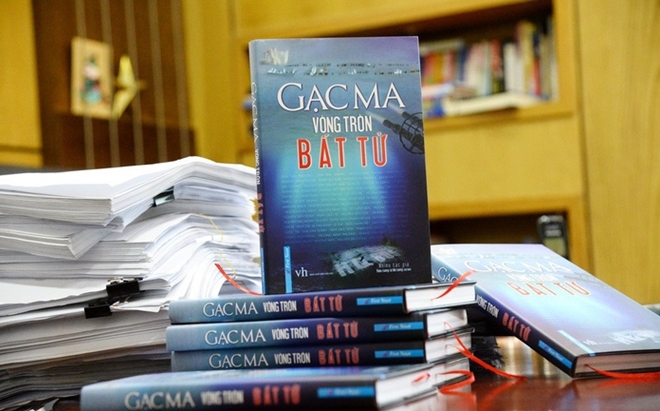 The book was initiated in 2014 with the purpose of expressing gratitude towards and telling the story of 64 Vietnamese Navy officers and soldiers who bravely sacrificed their lives to protect the Gac Ma Reef (Johnson South Reef), belonging to Vietnam’s Spratly archipelago, on March 14, 1988. Over the past four years, 68 participants including generals, historians, journalists and Gac Ma veterans conducted live interviews with Gac Ma soldiers in order to compile the book. Major General Le Ma Luong is the chief editor of the multiple article collection. 10,000 copies of the book were sold ten days after its first publication last month while the second edition was released with 20,000 copies on July 10. At the launching ceremony in HCMC, James Zumwalt, an internationally acclaimed US author and former Vietnam War veteran, represented the US-based publishing house at a meeting in Ho Chi Minh City last Sunday to sign the agreement of buying the book's rights. All the revenue from the deal would be used to support families of the battle's veterans and fallen soldiers.